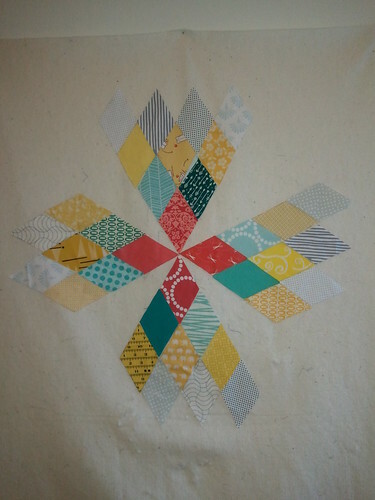 I've been working on my mini for the Fab Little Quilt Swap...I'm really loving my color combo! This mini actually started out with me thinking I'd paper piece strips of different widths into diamond shapes and then assemble in a traditional layout. But as I was drawing the design out using the Threadbias Design Tool it morphed into this! I'm still adding more low-volume prints in the negative space, but I'm excited to get to the quilting stage on this project. 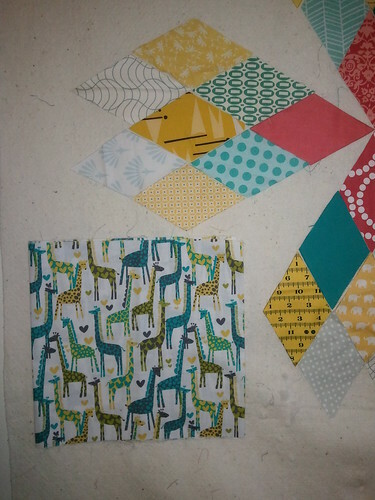 And um, hello, look at those giraffes that will go on the back. Adorbs. -$10 a month is great to try it out and see if it's your thing. -I wish they had more automatic shapes, like a clamshell. I could not draw that shape to save my life, despite about two hours of trying. -You can't choose to "fill"your background. This was also particularly infuriating because the designs I was working with were very modern, so they didn't always have a block structure. If you're making a quilt based on blocks then you can make your blocks and tile them across the quilt, filling in all the space. When I had motifs just scattered across the canvas I was filling the background by just making a large rectangle the size of the canvas and pushing it behind all the other motifs. But then it messes up the fabric requirements listed for each type of fabric. Frustrating! -You can choose your canvas size for your design via blocks or the entire quilt space, which was nice. But I wish the space within the browser would fill completely with the canvas. One day I hooked my laptop up with my 50" TV, thinking that I could have that huge workspace and would be able to see my entire quilt while working on it. Sadly, the workspace didn't enlarge! It was really hard for me to even out my composition [especially for the quilts that aren't block-based, again] when I couldn't see the entire quilt at once. -I think a crop tool would be really handy. For instance, in the block above I had to save that design with the low-volume diamonds as the full diamond. Then I cropped it myself in a photo editing program. Some of the shapes you can "separate" them, but those quarter diamonds in the corners wouldn't have been as easy to achieve, because not all of the shapes necessarily cut down to the size that you want. Even with all of those cons, I appreciated that the software was there for me to use without paying a small fortune. I know that the Design Tool is in its early stages, so I'm anticipating that maybe some of these concerns will be voiced by multiple people and will be addressed by the creators. 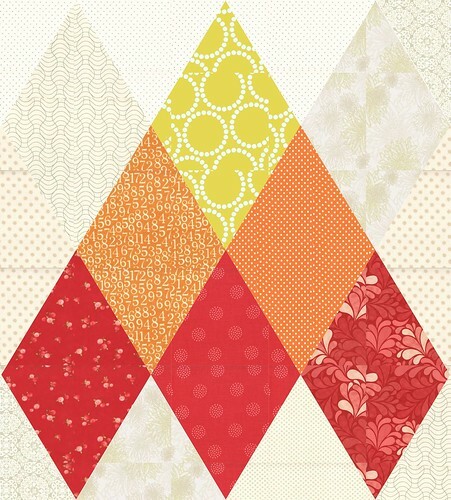 *Linked up with Fabric Tuesday at Quilt Story! Um hello, your diamonds are stunning. Glad to hear an opinion - I haven't tried it yet. I might this summer.